In the early 1960s French educator, filmmaker and writer Fernand Deligny (1913–1996) conceived and set up La Grande Cordée, the first experimental outpatient facility in France intended to prevent the confinement of children, and most especially children afflicted with severe autism, in psychiatric asylums. Within only a few years, however, his profound distrust and rejection of institutional life in all its forms would leave Deligny destitute and force him to abandon the project. Hence he and his group arrived one evening in 1965 at the clinic of La Borde, where Félix Guattari had already been active for some time. This meeting was to be a decisive moment in Deligny’s life, marking his transition from the particular world of French antipsychiatry to a broader social and political culture alongside thinkers like Guattari, Gilles Deleuze, and Michel de Certeau, for whom the crisis of subjectivity that had captured French intellectual discourse beginning in the ‘60s was emblematic of a wider social and political critique of capitalism. Deligny and others saw these children as somehow analogous to or parallel with a larger problematic of the subject that had been reduced to a partial function in late capitalist society, and so the autistic and schizophrenic paradigm began to dominate debates in the years immediately following the May 1968 uprisings, just as the Schreber case1 had been exemplary in the first half of the century for Freud and the Surrealists. But rather than a focus on the proliferation of language for the schizophrenic, on the latter’s logorrheic flow, this was instead a refusal of the notion of language’s centrality for the unconscious and the replacement of this paradigm with models of movement, innate gestures, spatializing actions and lines of flight. The maps, photographs and film stills from Deligny’s work with autistic children are included in Drew S. Burk and Catherine Porter’s inaugural English translation of sixteen of his key essays. While the writings in The Arachnean and Other Texts orbit around life and activity in the rural clinic he founded amid the Cévennes mountains and mirror the refractory dimension of the visual materials that sprung from it, they are not intended as image captions. And despite the immense difficulty of these texts, the patient reader will here gain an intimate view of Deligny’s poetic philosophy that seeks to free ‘the-humans-that-we-are’ from the prefabricated psychiatric – and antipsychiatric – discourses of his time, in anticipation of what he calls ‘primordial communism’ or ‘network communism,’ a concept directly inspired by his work with these children in his rural clinic. Hence the significance of the map-like drawings made by the children under his care, undoubtedly Deligny’s most important contribution during his lifelong work, which traced what he called lignes d’erre, ‘lines of drift’ or ‘wandering lines,’ as they are translated in this volume. The maps function in a compensatory manner – they are, after all, therapeutic tools employed by Deligny in his work with his patients – but they also function critically, like other cartographic practices that similarly refuse to totalize space in favour of a fragmentation based on a lived experience. The lignes d’erre do not exhibit the knowledge of an order of a particular place as traditional maps do, nor should they be perceived as cognitive totalities. We might instead understand them as traces of what Deligny calls a complete and total ‘sacrifice of the self’ in search for ‘common lines.’ If language is also suited for such a task, as he continually asks, it is only possible if the reflexive (se voir) is rejected in preference for the infinitive, which has no conjugation, no pronoun and no object – in other words, no claims to ownership over the Other. 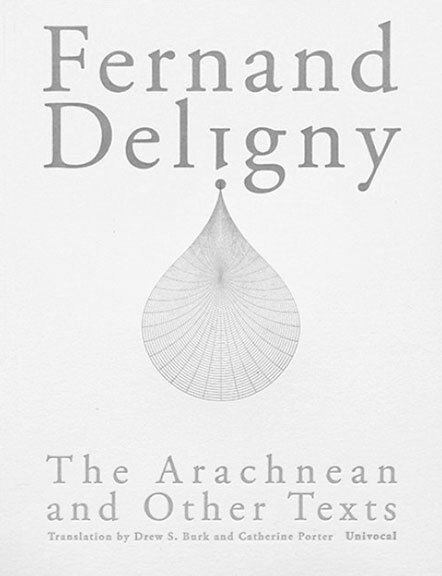 Deligny’s struggle to rescue language from the discourses in which it has long been embedded is not simply representative of his sensitivity to the limits of the medium in which he operates. It is part of his larger preoccupation with how the ‘thought-out project [of the language-grounded subject] absorbs everything, and what it cannot absorb it destroys as inopportune.’ The criterion of utility that afflicts the modern world – the means-end rationality of bourgeois everyday life – does not only relegate autistic children who cannot speak (or, in Deligny’s view, who refuse to speak) to the bottom of society, discarding them as superfluous and harbouring no useful knowledge. It also permeates language, and this is no more apparent than in Deligny’s reflections on how the full breadth and richness of once-aimless verbs such as ‘to wander’ and ‘to search’ have likewise been hijacked, destroying in the process the quest for pure chance, pure unbridled exploration for exploration’s sake. This is, for Deligny, what is ultimately at stake. In pursuing this project, however, Deligny continually speaks in disclaimers and contradictions. As Bertrand Ogilvie writes in the introduction to the translation, this awareness and refusal to tether his insights to a concrete project echoes a struggle earlier formulated by Georges Bataille in Inner Experience: ‘How to form the project of exiting from all projects?’ It should be noted that by providing the children with the space and tools to articulate their presence, Deligny is not aiming to reintegrate these children into a society that systematically rejects them, nor is he expressing a desire to pin them down. Such a desire, he is aware, would be detrimental to the children, as ‘there is always a collusion between wanting [vouloir] and power [pouvoir].’ Rather than making them conform to our language, he is interested in how new (desubjectivized) modes of being and life can emerge from within their silence, bearing the possibility of reimagining our relation to ourselves, to each other, and to the world. Indeed, one already begins to see this potential materialize in the childrens’ drawings, which seem to presage new ways of mapping the world. Deligny’s project is a testament to the possibility of finding ways of escape even in the most constraining systems, and the resurgence of interest in his work – thanks in large part to recent scholarship by Jean-François Chevrier and Sandra Alvarez de Toledo – comes at a moment in which it seems all the more important to resurrect these lost legacies on the left. As has become clear in recent years, and most notably after Occupy, political stakes cannot always be found in the streets. Our task might not only be one of taking power or claiming power in the public realm, but one of emancipating neoliberal subjectivity. As this book reminds us, the rediscovery of experimental, alternative modes of life – what Foucault has elsewhere called ‘non-fascist ways of living’ – has become especially urgent. 1. Daniel Paul Schreber (1842–1911) was a German judge who spent the last 27 years of his life in psychiatric institutions for paranoid schizophrenia. His memoir served as the basis of Sigmund Freud’s 1911 study of paranoia, which has since been widely criticized – most notably by Deleuze and Guattari – for invoking a purely sexual argument based on the Oedipal myth, at the expense of the larger political, social and historical implications behind Schreber’s experience.